Petr Zuman studied mechanisms of organic reactions using polarographic, voltammetric and kinetic measurements. Most of these studies involve biologically important compounds and their investigations are essential both for development of analytical methods and for their contribution to a better understanding of biological activity. Petr Zuman was born in January, 1926, in Prague, Czechoslovakia. He was a teenager during the Second World War in Europe, which led to difficult times for him and his family. In 1939, when Petr was 13 years old, the Germans occupied Czechoslovakia and sent his father to a concentration camp. In 1943-1944, Petr worked in a laboratory of the Research Institute of the Sugar Industry in Prague. He found this work very interesting indeed, and wrote three papers on the alkaline cleavage of sucrose. But in June 1944 Petr was also sent to a concentration camp. He was liberated from the concentration camp on May 6, 1945 upon the end of the war and then he returned to Prague. Petr Zuman enrolled at Charles University in Prague in the fall of 1945 and graduated in early 1948. After this he joined the research group of J. Heyrovsky and was awarded the equivalent of the Ph.D. (actually the RNDr) in 1950. He was one of the first researchers in the newly created Central Polarographic Institute in Prague and within a few years he was appointed Head of the Organic Polarography Division. This division of the Polarographic Institute was a major driving force in the early development of organic electrochemistry. Petr’s mentor and supervisor was awarded the Nobel Prize in Chemistry in 1959 for his work on polarography. 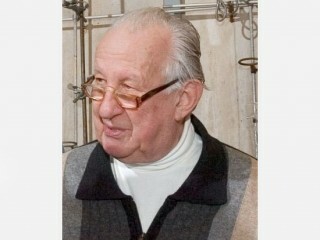 In 1960, Petr was awarded the Doctor of Science degree by the Czechoslovak Academy of Sciences. Following the political upheaval in Czechoslovakia in 1967, Petr obtained a three-and-one-half-year appointment as a research fellow at the University of Birmingham in England. In 1970 he accepted a position in the Chemistry Department at Clarkson University in Potsdam, where he remained until his retirement. Petr has gained the title of Emeritus Professor at Clarkson University and continues to contribute to the Chemistry Department in a variety of ways. Mechanisms of some organic reactions are investigated using polarographic, voltammetric and kinetic measurements. Examples of recently studied reactions are: Acid-base, hydration-dehydration and tautomeric equilibria involving 1,3,5- and 1,2,4-triazines, selenous acid and mytomicin C, reactions of bile acids, cholesterol, and other sterols in strongly acidic media, additions of nucleophiles, such as glutathione, to nitrosobenzene, etc. Most of these studies involve biologically important compounds and their investigations are essential both for development of analytical methods and for their contribution to a better understanding of biological activity. Another active area are studies of electroreduction and electrooxidation of some organic compounds, such as aromatic nitrocompounds, various pesticides including maleic hydrazide, 1,3,5- and 1,2,4-triazines, selenous acid, mitomycin C, phenols, etc. Structure-reactivity relationships are investigated, for example the transfer of electronic effects through an N-N single bond, ring formation of some 2-amino-1,4-benzoquinones, or interactions between two reducible groups in a molecule. Polarographic reduction of pesticides has been used to study their adsorption on lignin, to determine their bioavailability in applications in forest nurseries. Studies of alkaline cleavage of lignin at room temperature will form a basis for the use of lignin (which is a renewable raw material) for future industrial applications.